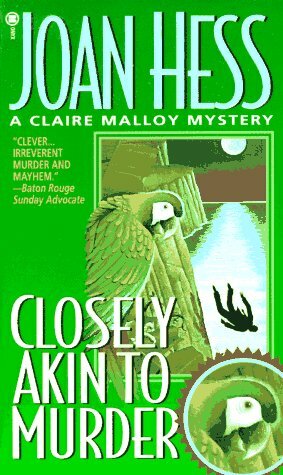 From the back cover: "A chilling phone call from a cousin thought dead for thirty years sends bookseller and amateur sleuth Claire Malloy off in what may be a wild-goose chase - or a hunt that may make her a sitting duck for a killer. Veronica"Ronnie" Landonwood is phoning from Chigaco to ask Claire for help in tracking down a blackmailer who threatens to expose her past. Once in jail for murder, Ronnie has rehabilitated herself into a prestigious scientist with a shot at a Nobel prize - unless her sordid past hits the tabloids." I must say that I didn't enjoy this mystery very much. The middle part seemed so long with so many suspects and so much crazy action. Mexico is such a corrupt place in my mind and this book just confirmed it. I guessed some of the ending, but the latter part of the book was the most interesting. Here's hoping someone else will enjoy it more than I did.